Ocean Mobile Template is a high-end, fully-featured mobile template from Envato. 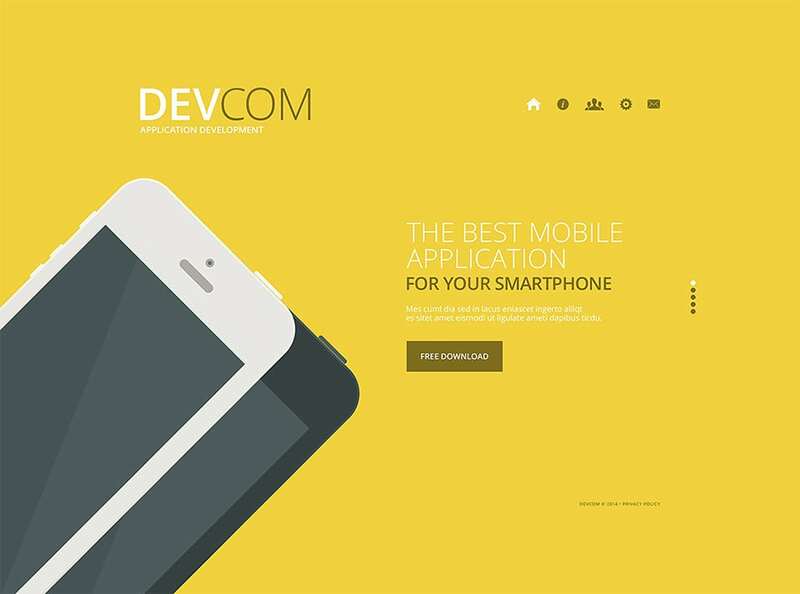 With flat design and responsive layout, this mobile template supports Android, WP8 and IOS platforms. This mobile template has been fully equipped with tools like CSS animated charts, Google Map support, landscape and portrait layout and layered PSDs. A large percentage of your customers access your website from their mobile phone or tablet device. 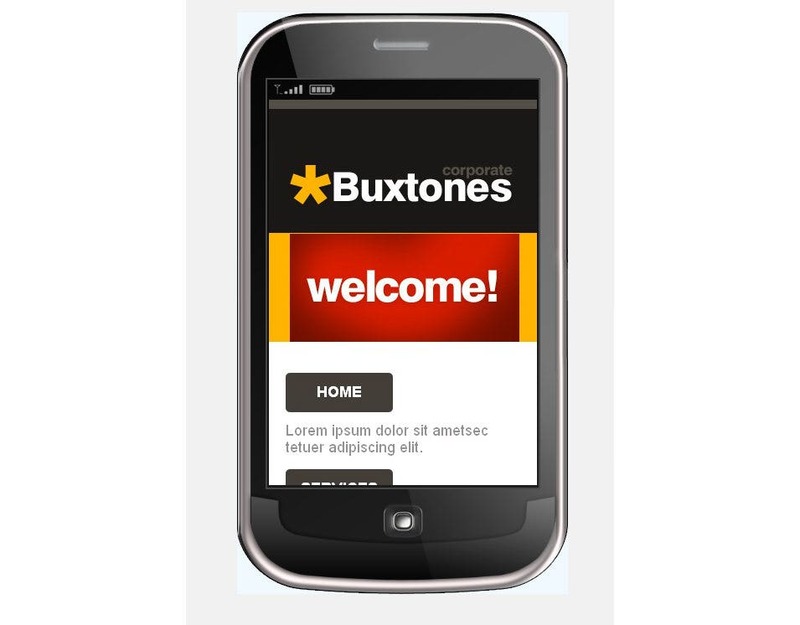 So, it is important to make your website mobile friendly. Use a mobile & tablet template to create a website that can be accessed smoothly from such devices as well. 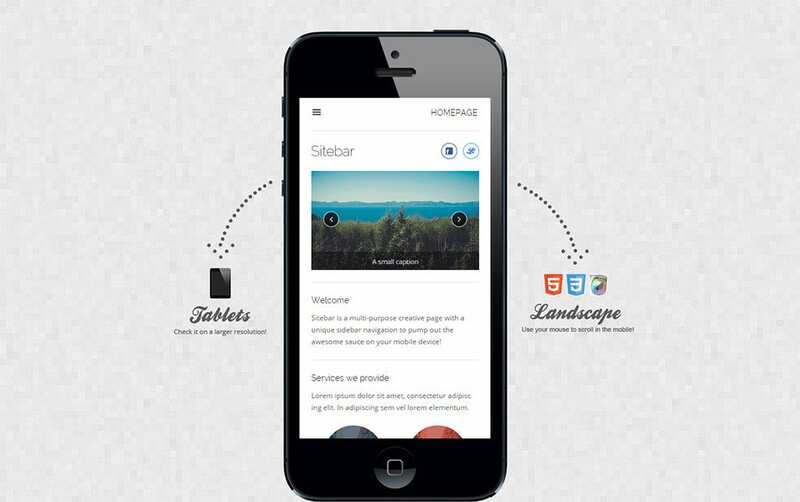 Flubia is a mobile application based web template that you can effectively use to create a product based website. It is attractive in design without compromising on the user expectations and requirements. Fully featured with grid style elements and a striking color scheme, this web template is fully responsive and efficient. Whatever business you run, it is important to have an easily accessible online presence. This mobile & tablet responsive template helps in creating a website that your prospective customers can easily browse on their mobile and tablet devices. Thanks to its user-friendly design, it can be created with almost no technical knowledge. 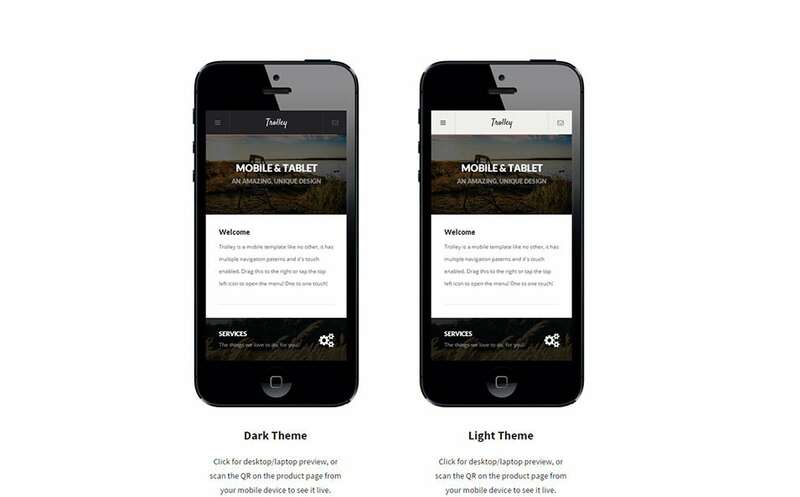 Visitors will get to enjoy the content in the best possible way when you choose this retina ready mobile web template—Trolley. Navigation is a breeze and it has fully responsive design. 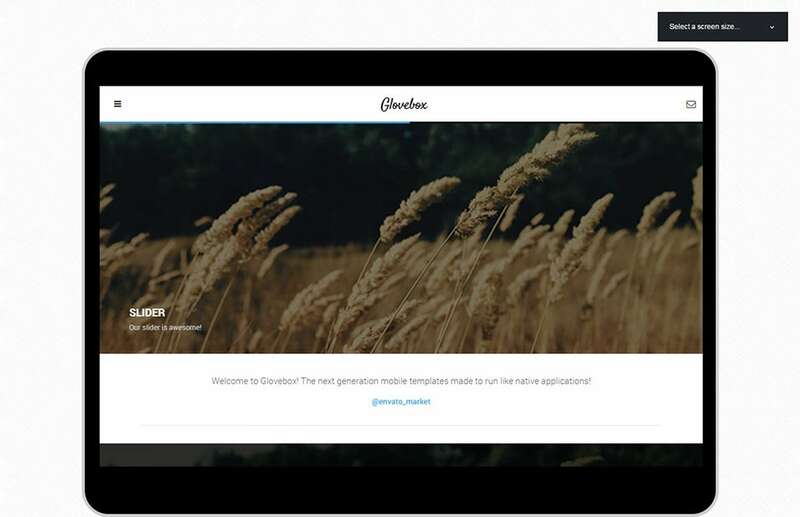 Customization is easy and this template offers the perfect user experience. This one is a mobile application based web template that can be effectively used to create an individual or company website. With strong points like attractive design and fully-equipped features, this web template is a hit among people longing for web development. 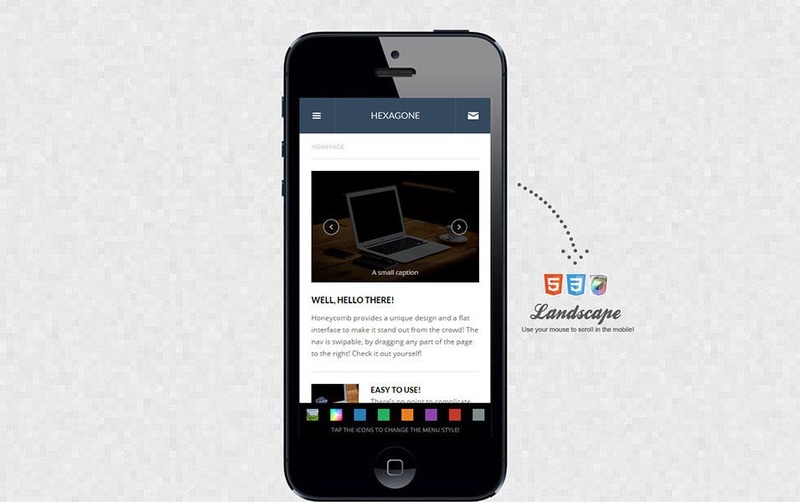 Use it to create a fully responsive website on your own. 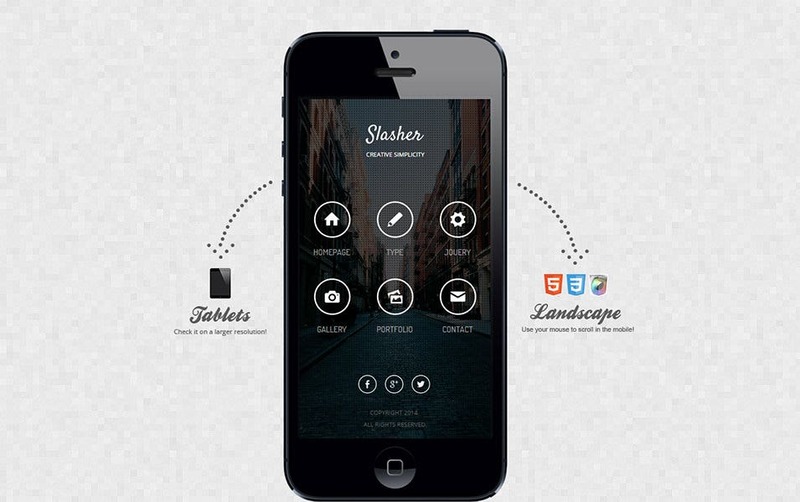 Slasher comes with a complete black background and offers simple and easy navigation. 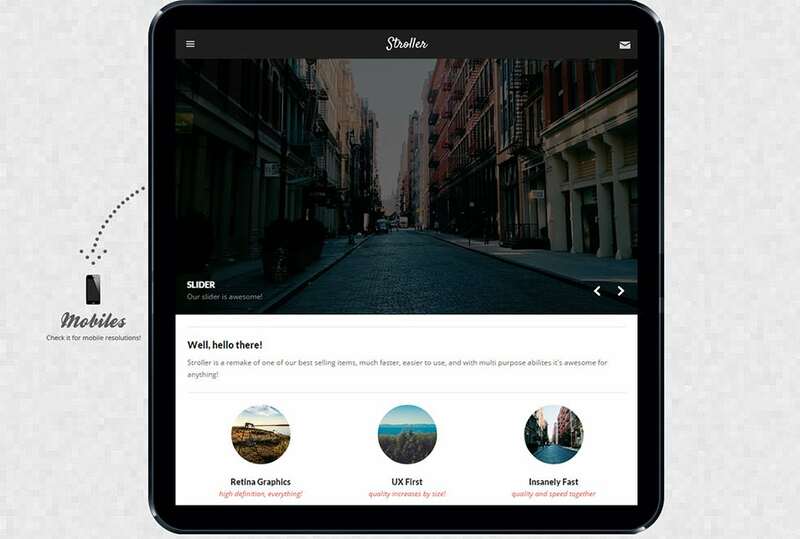 It has 100% responsive design and gives an immersive app feel. You can create icons easily and customize the way you want. It is sure to give a wonderful user experience. 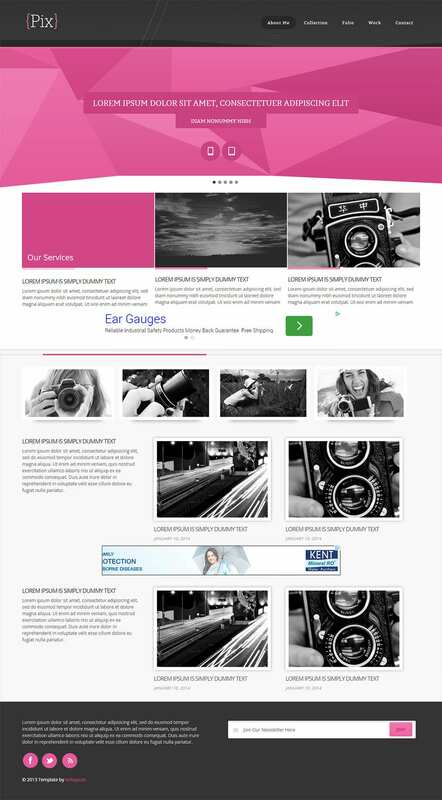 If you love pink, then this mobile website template is a perfect choice for you. Although it is based upon the folio website of a photographer, it can be used for almost any application in this world. With pink color and geometric designs, it turns out to be an ultimate choice for all. 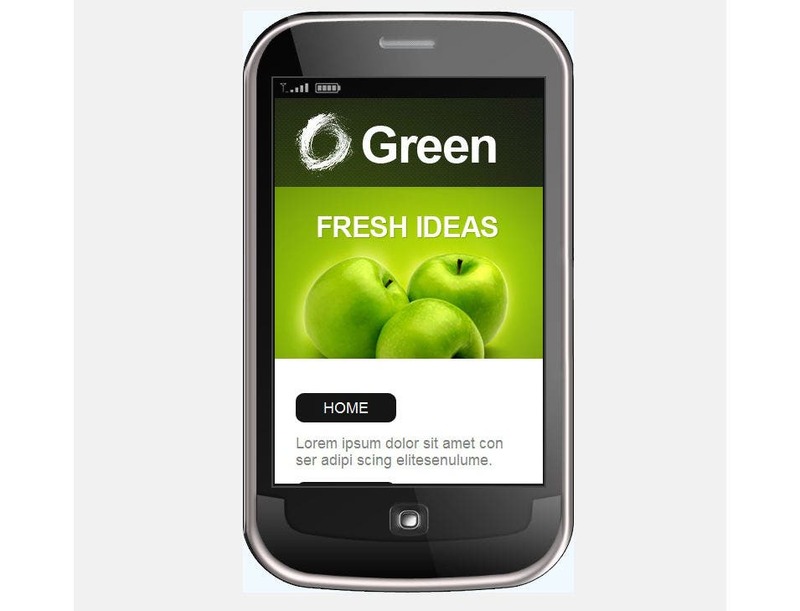 A business mobile template is the ultimate tool that you would need while designing a mobile website for a business. Whether you are offering products or services, this template will answer all your web designing related queries. Use this top quality template to give a touch of professionalism to your approach. 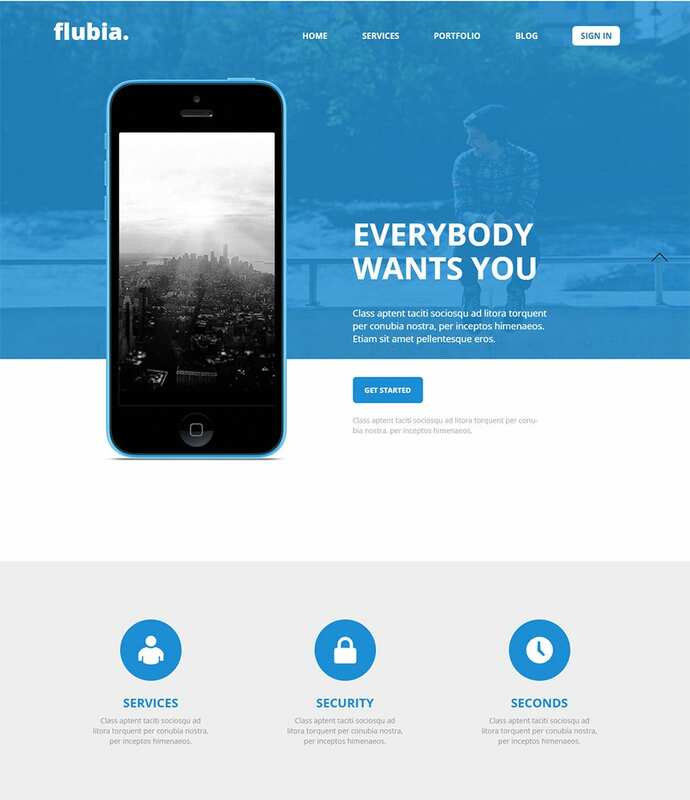 Mobile-first template is 100% responsive web design template with ready-made pages and user-friendly administration panel. 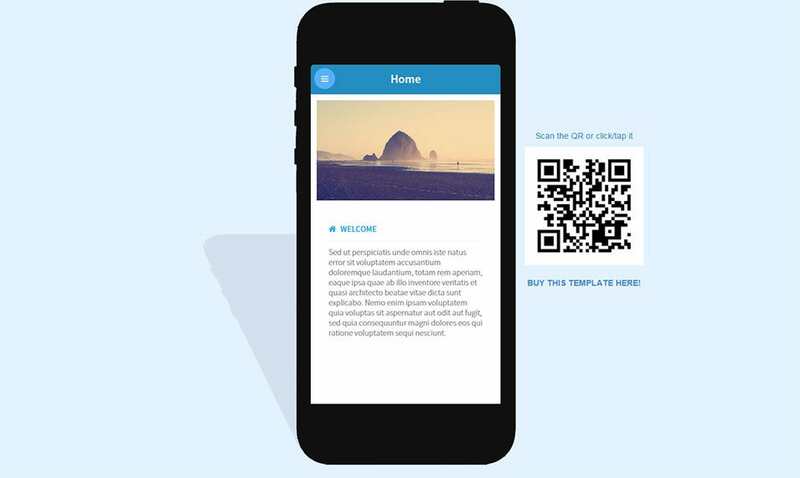 You can quickly create your own mobile friendly website with no design and coding skills. Get your mobile-first template here, and use it on your website to increase your accessibility. 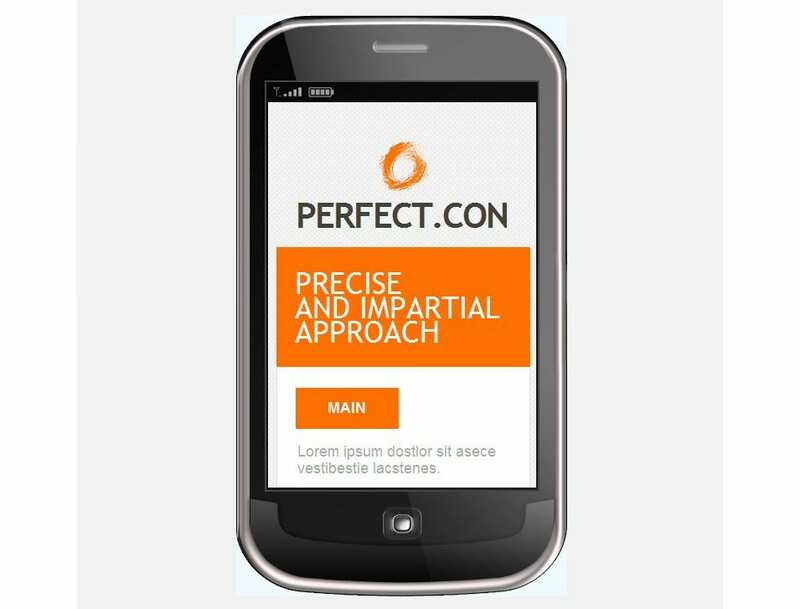 Go Mobile template makes it easy for all to create a professional, yet beautiful online presence. Whether you want to promote your business, start an online shop or showcase your expertise in a field, this Go Mobile template has everything that you need to create a fully-functional, high quality website. 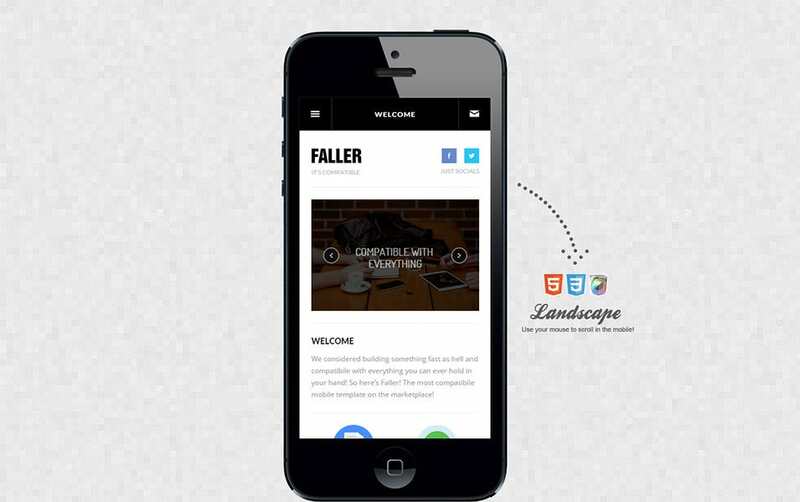 With this Pocket Mobile Template, you can create a professional looking business website on your own, and avoid employing an expensive designing professional. Being a fully-featured website design template, it saves you money as well as time, and at the same time ensures quality on your online business presence. Another one in the list is this one which goes by the name Stroller. 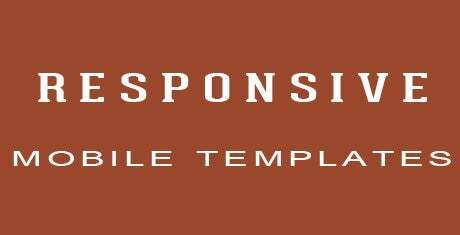 It is one of the best selling templates and has a beautiful design. Give your website a much needed facelift with this template and attract more customers. 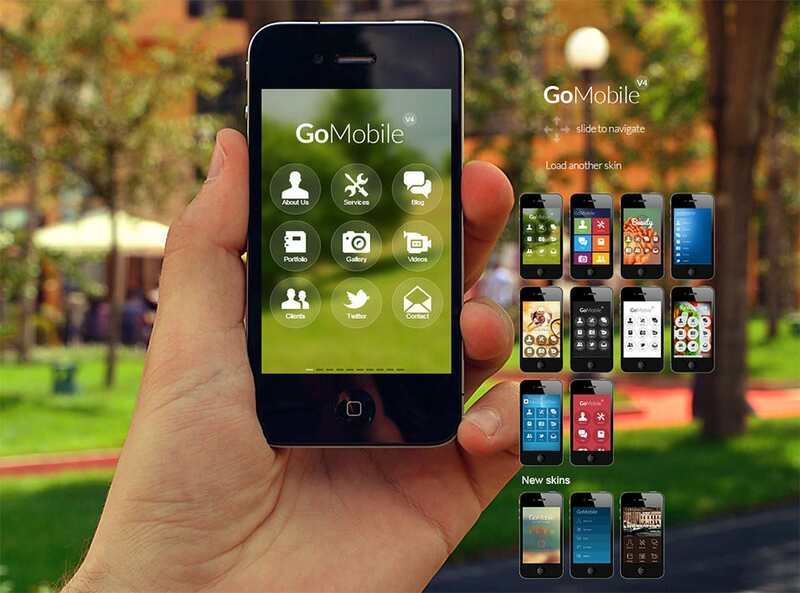 Want to take your business to mobiles and tablets? 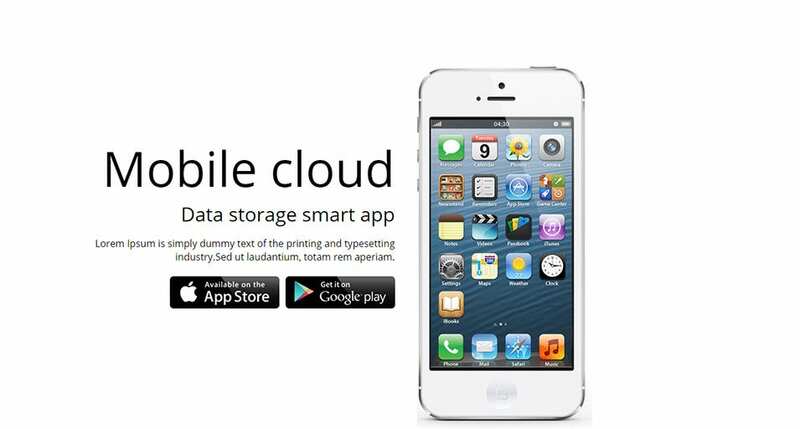 Then this retina ready mobile web template named Smarty is what you can opt for. It offers HTML pages that are ready to use and there is 20 designs to choose from. Lack of an appropriate business website can actually portray you as unprofessional and amateur, but if you are a startup entrepreneur, hiring a professional web designer can cost you a lot. 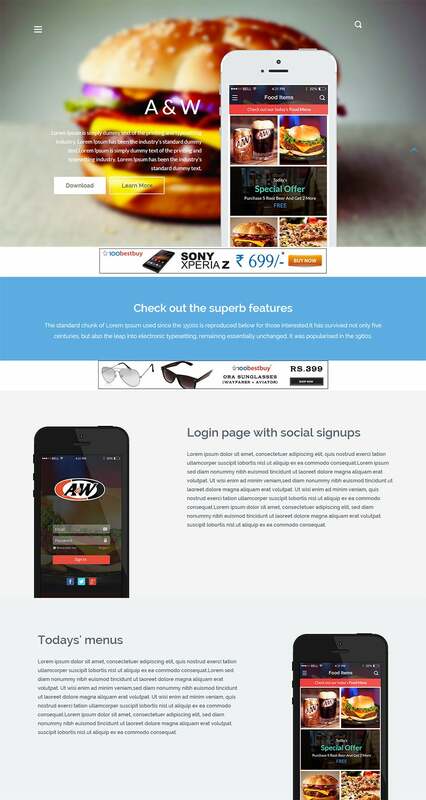 So, you can use this web development website template to create a professional, yet free website for your business. 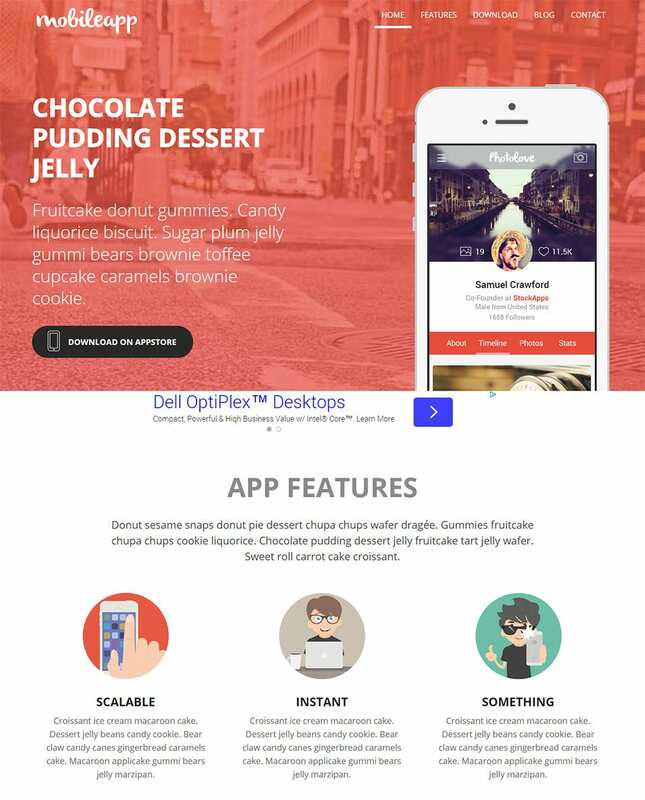 This Bold jQuery Mobile Template is a professionally designed web design mobile template that is fully featured to comply with standards and provide full accessibility to your visitors. Use this template to create your own website at a fraction of cost that you would have spent on hiring a professional firm. This Mobile Retina HTML5 & CSS3 with WebApp fills in the gap between an amateur business website owner and a professional web designer. It is a ready-made website design, including navigation tools, images, Flash animation and some sample pages as well. Just fill in your business content and customize it as per your requirements.